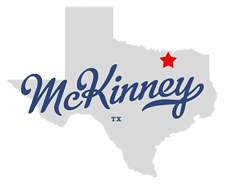 There are many therapists in McKinney Texas. Sometimes it is tough to find the one that will work well with you and your needs. When I do therapy in McKinney, I tailor the counseling methods according to your needs. I specialize in many areas including obsessive compulsive disorder, depression, anxiety, generalized anxiety disorder, hair pulling, skin picking, body dysmorphic disorder, marriage counseling, and so forth. You are able to schedule online easily for our appointment. I accept most insurances and make sure that everything goes smoothly. I have been practicing for over 11 years. Starting in Utah, I focused my efforts on working with children and teens. I spent a lot of time working with eating disorders, abuse and trauma. I then moved to Norman Oklahoma and worked there for 2 years focusing my efforts working with depression, anxiety, and bipolar. I then decided to move back to Utah to work familiarize myself in psychotic disorders. I worked with psychosis, schizophrenia, and delusions. Also through my private practice I really learned and specialized in OCD and anxiety related disorders. I have loved working with anxiety because the treatment is very strait forward. I feel the pain that my clients feel and I want to help them. I have taken extensive training in working with OCD, Anxiety, and Depression. Located in McKinney Texas I'm happy to bring my expertise to such a great state. Whether you live in Collin County, McKinney, Frisco, Allen, Plano, or any of the other surrounding towns I can assist you in your needs. If you're looking for someone to keep you accountable, I am your guy.